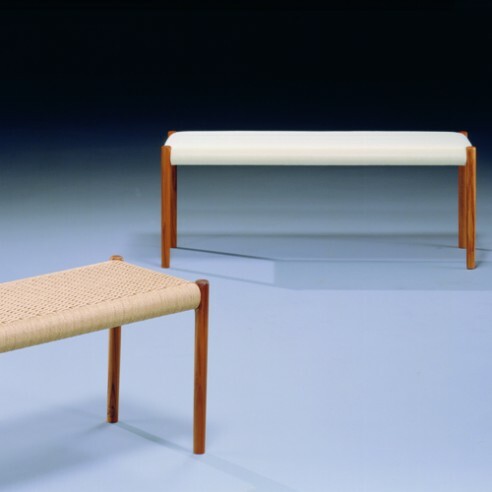 Designed in 1967, JL 63B in common with Niels Møllers chairs shares the same construction of the strong mortice joints with interlocking tenons at each corner of the seat which alleviates the need for additional stretchers. This detail gives Møllers stools a light elegant appearance . Like all Møller design the seat of stool JL 63B can be in woven paper cord of upholstered in a wide range of fabrics or leathers.